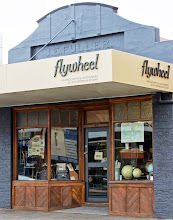 I was very taken with these images from some a blog I found recently www.minlillaveranda.blogspot.com (which means my little veranda). 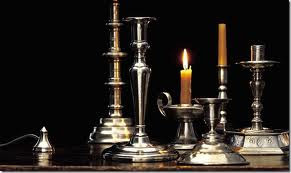 I love the grouping of various candlesticks, as well as the soft warmth of the metal and pewter. 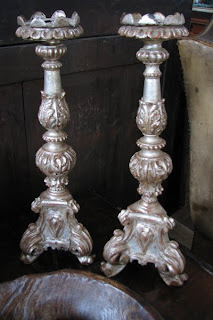 Here is a collection of shinier candlesticks. I am not sure whether they are silver or brass or both, but don't they look really good together? 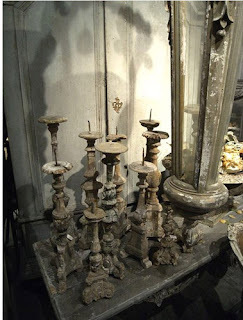 This is a pair of Italian silvered candlesticks that we have in the store. They are actually carved wood and date to the 18th century. I would love to have them in my bathroom (if it is ever finished!) on a table beside the bath. How lovely would that be? 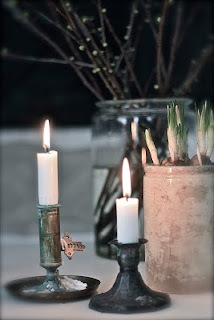 I love the pair of silver candlesticks too...beautiful. Thanks for stopping by our blog!! what a gorgeous post. 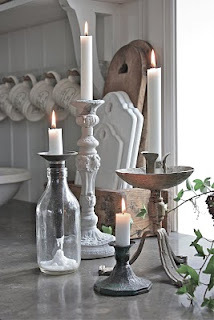 I love candles and candlesticks too. I would love love those Italian candlesticks too. How special are they?! What a fabulous find. Your idea of them being in a beautiful bathroom is perfect. 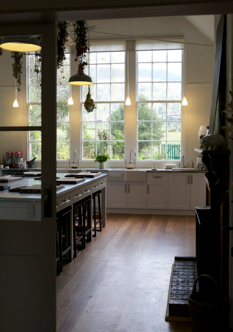 I am now dreaming of sinking into a claw foot bath filled with hotwater and bubbles, some relaxing oils in an oil burner creating a lovely aroma and those gorgeous candlesticks generating a soft warm glow. Sigh.